A house that isn’t kept at an inviting and seasonal temperature throughout the year will often never truly feel like home, no matter how much time and money is spent on maintaining and improving the structure. In addition to being a less than comfortable place to spend time, a home with heating and cooling issues can empty a homeowner’s wallet fairly quickly, raising electric and gas bills virtually year-round in an endless struggle against a home that’s too hot in the summer months and too cold in the winter. What many homeowners don’t know is that there’s a solution to these problems; many homes that experiencing heating and cooling difficulties are poorly insulated, and paying a professional to re-insulate key components of the house can save a great deal of money in the long run, as well as sparing the homeowner a great deal of aggravation. In many homes, the trouble starts in the attic, one of the most difficult places in the home to keep at a constant and comfortable temperature. A majority of older homes are insulated with traditional fiberglass insulation, which is an excellent insulator, but also leaves gaps that allow air to enter and escape, ultimately resulting in an indoor climate that’s more difficult to regulate and higher heating and cooling bills throughout the year. In addition, fiberglass insulation seems to deteriorate over time, often becoming the victim of hungry mice, rats, insects, and other intruders able to chew their way through the insulation in order to gain access to your home. Nowadays, a popular solution, particularly in older homes, is to have the attic reinsulated with spray foam insulation. Spray foam insulation has a definite advantage over the more traditional fiberglass, particularly in that it will expand to cover even the smallest corners and crevices, reaching difficult places that fiberglass cannot, and leaving your home better protected from the elements. It is also a more environmentally conscious alternative, because it not only helps maintain a consistent temperature inside the home, saving energy in the process, but it is a more effective way to keep mold, pollen, and other environmental pollutants from invading your living space. 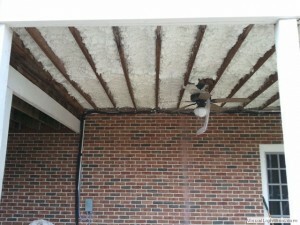 In addition, spray foam insulation helps to control and regulate the amount of moisture in your home. This is important, as excessive moisture is a problem that can affect not only the health and structure of your home, but can invite insects and other unwanted house guests to begin moving in. Our trained professionals have the years of knowledge and experience that will guide them in completing your homes insulating needs. Whether you have a larger home or a small one spray foam insulation is a great solution for your needs so give our trained experts a call today and see what a difference a quality product installed by trained professionals can do for you. 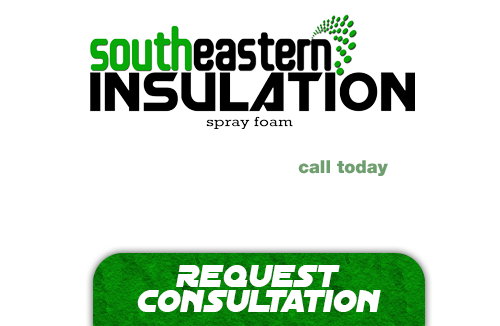 If you’re looking for a professional Big Canoe Spray Foam Contractor, then give us a call today at 678-561-FOAM or complete our request estimate form.